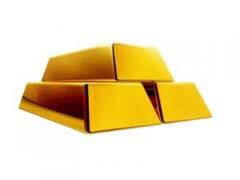 Below you will find top 5 mistakes to avoid when doing gold futures trading. 1. Rushing into buying gold futures without proper knowledge and understanding. You might think you know the basics of gold futures contracts, how to read gold futures prices charts and gold options trading fundamentals. But is that enough to become successful in the futures market? Enlist a professional stock broker to introduce you to all the ins and outs of this tough market. 2. Putting more money into buying gold futures than you can afford to lose. A standard gold futures unit is 100 ounces of gold, if you multiply that by a current spot price of gold, you will know that it is not cheap. Account for potential losses before you start buying so you are not left devastated. 3. Inexperienced traders fall in the trap of overtrading because they do not fully understand the market and are not willing to hold on to the contracts for a long period of time. They are simply blindly trading, frequently getting in and out of contracts hoping to make some money in the short run. Over time high frequency traders are depleting their accounts and are forced to exit the market. 4. Not implementing risk hedge strategies is a major mistake of the trading. Consider learning various hedging strategies like buying into alternative commodity or alternating between short and long positions of the market. 5. Perhaps one of the most not so obvious mistakes of buying gold futures is selling contracts that are on the rise to save the overleveraged losing accounts. According to many experienced traders, unfortunately, in a scenario like this you might risk losing a substantial amount of your account in doing this. Don’t let your good ship sink in attempts to save the sinking one. Get out of your bad account first; this way you will be cutting your losses while letting your good contract accumulate more profits. These are just a few out of hundreds mistakes to avoid in trading this particular precious metal investing mechanism. To be on top of your game you must continually educate yourself on the fundamentals of this market, stay in-tuned with all the current market trends.